Four years ago, we visited the Texas State Aquarium and I wrote one of my first blog posts. The HEB Splash Park had recently opened and my twins were just about 5 years old. We returned for their 25th anniversary at the end of our overnight trip to Corpus Christi and had a great time! Now 9 years old, my kids remembered parts of the aquarium, but it felt like it was their first time. We walked through the indoor exhibits first, itching to see what was next. This time they could actually read the signs! Dolphins Kai and Shadow were back in action after a brief hiatus and there were some new additions and improvements to the existing outdoor touch pools. but this time we were able to pet the sharks and stingrays in the new outdoor exhibit! Even a bit older, they could not resist a moment in the splash pad. Be sure to bring a towel and extra set of clothes. Then after a walk out the patio to see the USS Lexington as they dried off. If you are planning a visit, be sure to check out the Saving Sharks exhibit that will be up in October and look out for the opening of the new Caribbean Journey Wing. 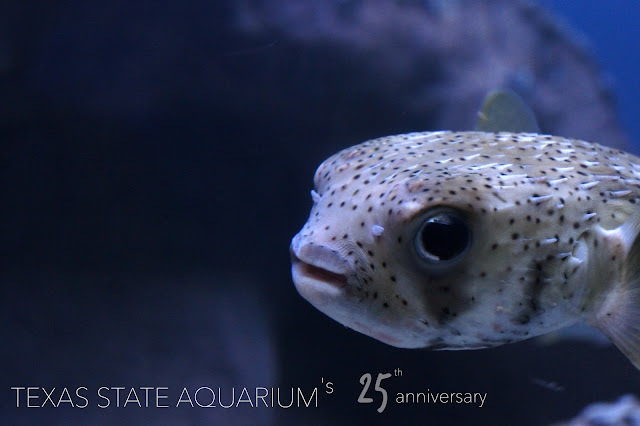 The aquarium is open daily from 9am - 5pm.